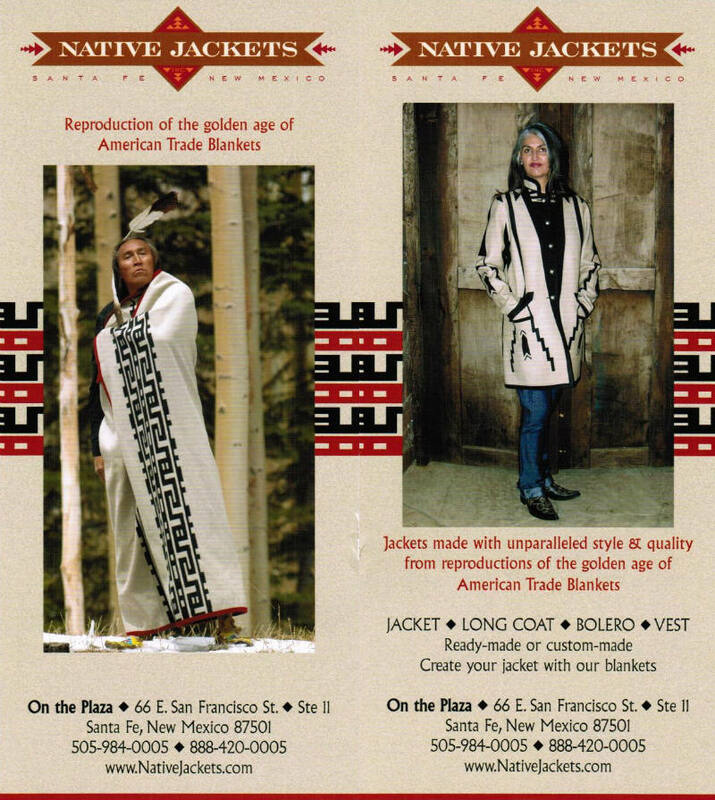 Pendleton Indian Blanket Jackets, Indian Trade Blankets, Navajo Rugs, Pueblo Pottery and Southwest Indian Art. We also specialize in museum quality contemporary and antique Navajo Rugs, Southwest Baskets and Pueblo Pottery. Our collection is of the finest available featuring such legendary artists as Maria Martinez, Margaret Tafoya, Daisy Taugelchee, Clara Sherman, Robert Tenorio, Marie Chino, Salina Dale, Bessie Manygoats, Bear Clan and many more. Ready-made or custom-made. Create your jacket with our blankets.